How great is it to see your favorite artists live in concert? Stop wishing, and start experiencing! We have the inside scoop on the best upcoming Atlanta concerts to take your breath away this year. Our vibrant music scene has something for everyone, no matter what genre you prefer! 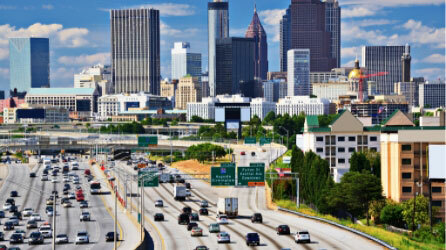 Come for the shows, but stay for the wide variety of additional activities and attractions Atlanta offers. Explore our Travel Guide to Midtown Atlanta to discover our favorite bars, restaurants, museums, and more to check out while you’re here. It’s your ticket to an incredible trip, and unlike most concert tickets, it’s free! Nothing beats enjoying a remarkable concert, except enjoying several of them in one place! Don’t limit yourself to just one show this year. Attend these annual festivals and get ready for a marathon of music! Don’t forget to attend the Shaky Knees Music Festival at Central Park each May. The park hosts a variety of rock and pop artists, fun games, local food vendors, and more. Purchase your tickets to gain admission for three days packed with over 60 performances! There are also late-night shows featuring some of the biggest names in the music industry. Music Midtown is Atlanta’s must-see event in mid-September. Not only does it offer an incredible experience, but also it’s just a short walk away from Stonehurst Place! That means no worries about parking or paying for an Uber. Find everything from rock to rap concerts at Atlanta’s Piedmont Park over two fun-filled days. Thousands of music lovers are eager to get their hands on tickets. Get yours while you can! For more information on individual concerts throughout the area, stay tuned to the Atlanta concert schedule. You’ll find musical happenings at various venues including the historic Fox Theatre, The Masquerade, and Center Stage. You can even catch breathtaking shows from talented musicians at the Atlanta Symphony Hall! Our award-winning bed and breakfast in Midtown Atlanta is the ideal place to stay for a music festival or concert. We provide elegant accommodations in a convenient location near the best local venues. Our unique, historical property blends seamlessly with our modern amenities, creating a one-of-a-kind atmosphere for guests. We’re ranked Number One among the South’s Best Inns of 2019 by Southern Living readers for a reason! Choose from our luxurious suites and rooms, including the Hinman Suite. Elegance is an understatement with its pearlescent walls and four-poster, king-size bed with silk canopy. In the bathroom, enjoy heated marble flooring, towel warmer, and a soothing spa tub. It’s the best place to stay on a trip to Atlanta. Book your stay at Stonehurst Place and make your experience the best it can be! 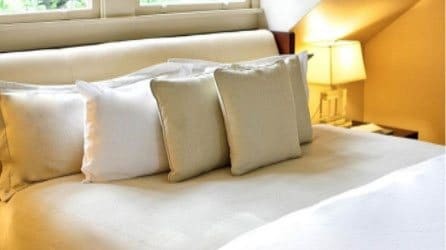 Your getaway at Stonehurst Place doesn’t end with our luxurious accommodations and exceptional service. Browse our specials and packages to make your stay even better! Buckle in for the Best Houston to Atlanta Road Trip — Where Are Some of the Best Spots for Midtown Atlanta Nightlife?